Okay, so he had finally tried this “planking” thing. Maybe he’d been a little late to hop on the bandwagon, but now that he had tried it, Elmo still didn’t get why people insisted on carrying on this stupid trend. Oh yay, I can lay flat on things that aren’t meant to be laid on, then I can post the picture on the internet and pretend I’m cool. Whoop-dee-freakin’-doo. 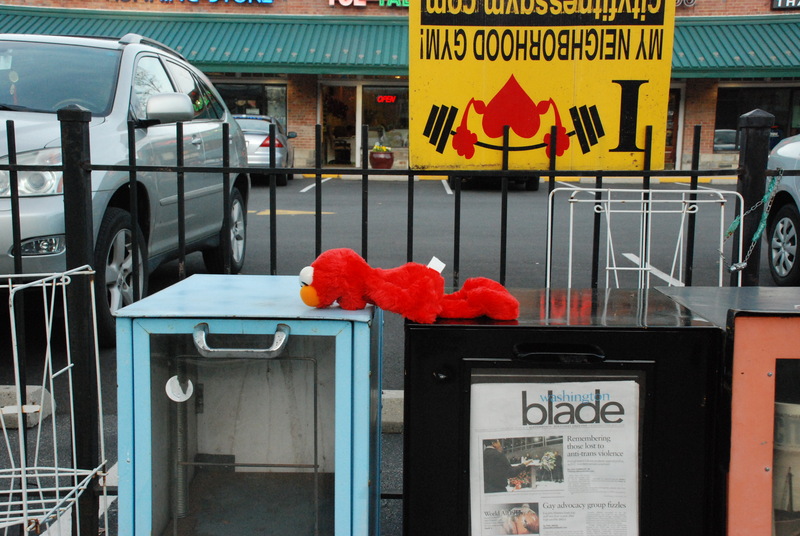 All Elmo really understood was that this was uncomfortable and he was getting dirty.